(July 7, 2016, Hong Kong) – BIGBANG, the world renowned Korean artist group, sets to make their victorious return to seize the stage in Macao once again with their “2016 BIGBANG MADE [V.I.P] TOUR IN MACAO” on September 3 and 4 (Saturday & Sunday) at the Cotai Arena, The Venetian® Macao! Ticketing details of “2016 BIGBANG MADE [V.I.P] TOUR IN MACAO” will be announced shortly. 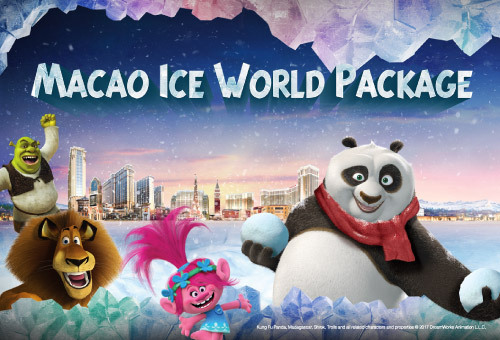 Macao has become one of the most popular cities for travel, leisure and glittering entertainment in Asia in recent years, which numerous world-class events have been taken place there. Last year, BIGBANG held their first ever concert in Macao with “BIGBANG 2015 WORLD TOUR [MADE] in MACAO”, which they also set the record as the first ever foreign artist group to hold three sold-out shows at The Venetian Macao, making the event the hottest talk of town. This year, BIGBANG seeks to extend the glory with “2016 BIGBANG MADE [V.I.P] TOUR IN MACAO”! The BIGBANG hype has continued to grow since their invincible comeback with their “MADE” project last year, whilst all the great hits of “MADE SERIES” swept various major music charts! Within just a year of its release, the music video of “Loser” and “Bang Bang Bang” have both accumulated an amazing 100 million of views on YouTube! Together with the other two fan-favorites, namely “Fantastic Baby” and “Good Boy”, BIGBANG has become the first ever Korean artist group to have four music videos reaching 100 million of views on YouTube, once again proving their immense popularity around the world! BIGBANG would like to thank their fans for their love and support over the years with this exclusive MADE [V.I.P] TOUR! Unlike their previous concerts, “2016 BIGBANG MADE [V.I.P] TOUR IN MACAO” has brought together elements of an amazing mini concert performance along with an interactive fan meeting altogether in one show, which will surely deliver a brand new experience to their audiences, and bring out the natural side of the members. The group will route to Hong Kong to hold four shows of “2016 BIGBANG MADE [V.I.P] TOUR IN HONG KONG” on July 22 – 24. This exciting news was shared across social media platforms and made a splash around the region. As a result over 40,000 tickets of the four shows immediately sold out, making BIGBANG the first ever foreign artist group to hold four consecutive shows in Hong Kong. They have also traveled to various cities in the Greater China region to deliver this special performance, including Shanghai, Shenzhen, Zhengzhou, Nanjing, Hefei, Hangzhou, Nanchang, Changsha, Tianjin, Foshan, Nanning, Harbin, Dalian, Chongqing and Chengdu. The tour was well received in all these cities with all shows sold out. G-Dragon, TAEYANG, DAESUNG and SEUNGRI will perform at “2016 BIGBANG MADE [V.I.P] TOUR IN MACAO” whilst T.O.P will be absent due to difficulty in his schedule arrangement, but fellow BIGBANG members will ensure that fans will not be disappointed. The remaining four members will also head to Taipei and Kaohsiung to meet with Taiwan fans in September. Being one of the most prominent Korean artist groups, BIGBANG is regarded as a frequent award grabber in all major awards both locally and internationally! They recently won the “Best Artist from the World” and became the only awarded Korean artist in Italian MTV Awards 2016. BIGBANG was also voted as the second place of TIME 100 list and selected as the “10 Power Celebrities of 2016” by Forbes Korea, further proving their influence as the icon of the era in all aspects! ELF ASIA, Live Nation and The Venetian® Macao are the promoters of “2016 BIGBANG MADE [V.I.P] TOUR IN MACAO”.